Contrary to what you might think, the most important attributes for successful leadership often are found below one’s surface, much like the largest part of an iceberg. We usually think of leaders as innovators, brilliant thinkers or highly proficient performers in a given field. These qualities are the easiest to see. But research indicates the more important competencies are often below the surface—ones not traditionally regarded as being the important qualities for leadership. The following data are derived from Daniel Goleman’s book, “Working with Emotional Intelligence,” along with other scholarly papers on leadership research. They provide compelling evidence about the importance of emotional intelligence (EI) in leadership compared with cognitive intelligence (IQ) in leadership. • From a study of 181 different leadership positions from 121 organizations worldwide, 67 percent of the abilities deemed essential for effective performance in leadership are EI competencies, and 33 percent of those same type of abilities are IQ competencies. • In a study of more than 2,000 managers from 12 large organizations, 81 percent of the competencies that distinguished outstanding managers were EI, and 19 percent of those competencies were IQ. • Reanalysis of studies of hundreds of executive and leadership positions in 15 global businesses indicates 90 percent of the differences between average and the best leaders were EI competencies, and 10 percent of the differences were IQ competencies. While knowledge, experience and functional competence are important and necessary for leadership, EI competencies are a significantly higher predictor of successful leadership—67 to 90 percent higher compared with 33 to 10 percent for IQ. It’s difficult to understand why these facts continue to be overlooked. When leaders can recognize people’s emotions, they become capable of responding to people instead of reacting to them, thereby improving the relationships they have with those they lead. This is the essence of emotional intelligence. Still, why do smart, skilled people fail at leadership? Consider that emotions are contagious. When those in leadership roles are tired, pressured for results and lack emotional awareness, the negativity will affect the organization’s climate. The good news is the same is true—emotions are contagious—when a leader makes it a priority to understand and develop EI competencies. When stress is high and leaders have an ability to respond to situations and people calmly and thoughtfully, the result is a climate conducive to high levels of satisfaction, productivity and success. Additional evidence is found in a 2008 Gallup study of more than 10,000 respondents that examined what’s fundamentally important to them in terms of the most influential leaders in their lives. The following is a summary of the results, emphasizing the four traits people want and need most from their leaders. 1. Trust. Dishonest leaders are corrosive to relationships with subordinates. EI leaders will say what they mean and do what they say. They know that when words and actions don’t align, the result is cynicism that destroys healthy relationships. There’s only a one in 12 chance of positive employee engagement when leadership isn’t trustworthy, according to the poll. 2. Compassion. Compassion is a natural response that comes from an intentional awareness of others’ emotions. Leaders show true compassion when they show concern for the whole person and share the joy and sorrow of their subordinates. When more than 10 million people were asked how they felt if a supervisor cared about them as a person, they said they were significantly more engaged, productive and happy. 3. Stability. People want to know that leaders will remain true to core goals and that values and mission will remain the same even when market conditions change. An EI leader responds proactively, rather than haphazardly reacting or compromising values when there are adverse changes in the business environment. To create stability in an organization, build confidence by being transparent. Leaders who openly share financial metrics, company goals and progress throughout the year gain their workers’ confidence. When you can show individuals how their contributions impact the greater good of the organization, you have a better opportunity to gain buy-in from them. 4. Hope. Employees want and need to have hope for a positive future. Leadership that inspires people to feel optimistic about the future creates a hopeful culture. When leaders have a more reactionary style, employees perceive actions as being driven by day-to-day issues of managing the business. Contrast this style with leaders who are proactive and share their vision regularly. Gallup’s research about the impact of leaders throughout an organization found 69 percent of employees who felt enthusiastic about the future were engaged in their work, compared with just 1-percent engagement where there was a lack of hope for the future. 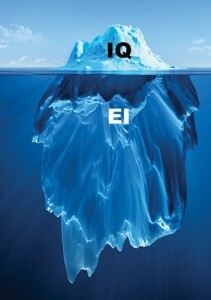 Successful leadership depends on looking below the surface to discover how to make EI work for you and your organization. Boomer is a certified executive coach and Gallup StrengthsFinder coach with Pro-Motion Consulting. Reach her at leslie@mypmcteam.com. 1 Comment on "Lead with emotional intelligence"